This book was one that came highly recommended and I'll say that it was a great read. Now I'm not sure if it's my upbringing that was pretty conservative pentecostal, but I have never read the book of Hosea before, so this book was so engaging that it led me to read the book of Hosea too and I've found so much beauty in. If there's anything I would not recommend it's that this story is pretty raw and can be disturbing, would definitely recommend this as an 18 reading and it should be classified as such. Besides that, I personally adored the book. An incredible portrayal of the book of Hosea. The relentless love of the Father is shown in this beautiful story set in the Californian Gold-rush. I began reading this book late at night, and although I made several attempts to put it down, I just couldn't. I HAD to know what happened! And I wasn't disappointed. This book will touch your heart and change your life. One of my favourite Francine Rivers books. Beautiful story of love and never giving up on someone. Great portrayal of Hosea. A must read. this was the first book of Francine Rivers' that I read. (I don't like to read - But that has changed too) this book had me laughing, screaming and crying i was so emotionally captivated in the book. reading it also help me understand Gods love even more. Best book EVER. 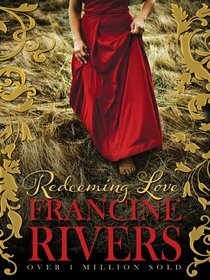 Wow I loved reading this book, my first Francine Rivers book I read given to me by my friend for my birthday I would have to say I was blown away by the story and it inspired me to read about Hosea from the bible a patient God filled man. Everything that others have written about his book in the reviews I agree it was very hard to put down. A must read and I can understand why Rivers has sold over 5 million copies of this book I am glad I own this book as I would read it again some day!